Storming to a two-set lead within an hour, Djokovic appeared destined to complete a stinging humiliation but the net-rushing Federer responded brilliantly in the third as a partisan crowd roared him on at a flood-lit Rod Laver Arena. Djokovic was known in the past for quitting matches mid-way due to ailments, including multiple withdrawals from Grand Slam matches. 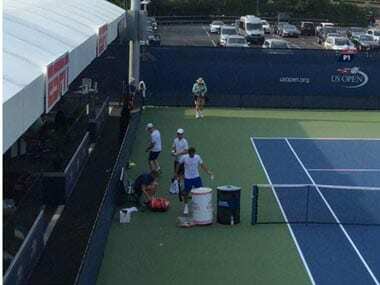 Roger Federer and his team were seen cleaning the practice courts at US Open after finding bottles and towels strewn everywhere. Novak Djokovic celebrated his first wedding anniversary with a third Wimbledon triumph on Sunday and insisted getting married to longtime girlfriend Jelena Ristic was key to his success. Top-seeded Serb Novak Djokovic was gifted a place in the BNP Paribas Open semi-finals when Australian Bernard Tomic pulled out of their quarter-final on Thursday, citing a back injury. Novak Djokovic defeated John Isner 6-4, 7-6 (5) to reach the quarterfinals of the BNP Paribas Open on Wednesday night in pursuit of his fourth career title in the desert. This was one occasion where Novak Djokovic couldn't really empathise with Andy Murray, his long-time friend. There's been plenty of talk ahead of the Australian Open about the new guard vs. the old guard in both men's and women's tennis. The champions recently have been, well, just different. Roger Federer is uncertain if he will recover from a back injury in time to play for Switzerland in the Davis Cup final, according to Novak Djokovic. 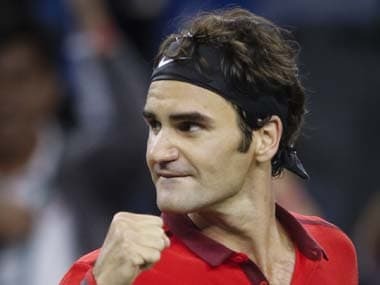 It meant Djokovic became the first man to win the title three years in succession since Ivan Lendl in 1987.